ROCHESTER, New York, June 13, 2018 – First Source, Inc. announced today that Allied Mobile X-Ray & Ultrasound (AMX), a major provider of diagnostic imaging services in South Florida, has placed a sizable, multi-unit order for its Vision M lightweight portable imaging system. The equipment is ear-marked to fill the company’s equipment need towards their expansion into the Tampa, St. Petersburg area. AMX has been in business for over 30 years and services more than 200 skilled nursing homes. In addition to long-term care and other residential facilities, they provide services to more than 2,500 physicians. The decision to purchase the Vision M was made by AMX after gaining experience with several Vision M units acquired in the past year. “The Vision M has proven its durability, maneuverability and the versatility that we expect from a mobile imaging product,” said Eric Amar, President and Owner-Operator of AMX. “Along with excellent image quality, a major consideration in determining which mobile imaging product we chose, was the Vision M’s innovative feature that it is a fully integrated system.” Amar went on to say. The Vision M solution includes the Visaris Avanse image acquisition software complemented with a VAREX wireless Cesium detector. The software is integrated with the X-ray tube; this enables the Technologist to set exposure factors from the system’s laptop computer rather than the X-ray tube ultimately increasing productivity. 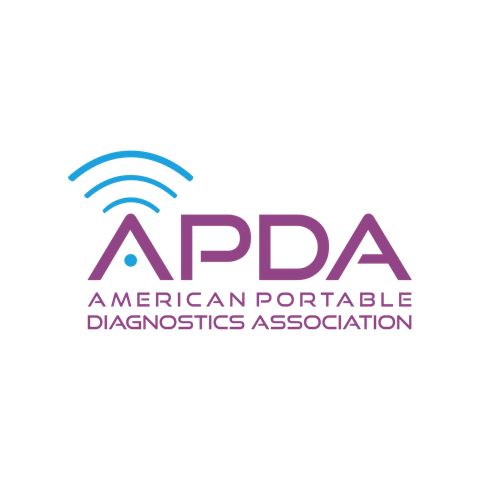 AMX offers an extensive line of portable imaging and monitoring services. “We take pride in the services we offer and are committed to using the best imaging products available in our industry in providing those services”, explains Aaron Whitman, Vice President of AMX. “We make it our practice to undergo a rigorous process when it comes to selecting diagnostic equipment at AMX, for the benefit of both the patients and the Company.” Whitman continued. ALLIED MOBILE X-RAY & ULTRASOUND (AMX) is the largest, most experienced provider of mobile diagnostic imaging services in South Florida. AMX has built an outstanding reputation in the long-term care industry and provides services to a multitude of long-term and residential facilities with 24/7 same day service. It offers portable digital X-ray imaging, bone density screening, ultrasound, echocardiogram and doppler studies, EKG and Holter Monitor services. AMX employs over 75 employees and is an active participant in the regional healthcare community. FIRST SOURCE (FSI), established in 1999, is recognized for its innovative R&D, manufacturing and technical service capabilities in the U.S. medical imaging market segment. FSI offers a full portfolio of diagnostic imaging solutions including digital flat panels, advanced acquisition software, portable X-ray and Ultrasound for the mobile imaging market. Additionally, Visaris Americas, a solely owned subsidiary of FSI, distributes an array of retrofit and full room solutions in a range of robotic and manual configurations to meet and exceed the needs of its medical imaging customers. Come and see our new Portable Imaging Bundle at the conference! We’ve partnered with Alpinion, a global ultrasound manufacturer, to provide our Customers with a comprehensive imaging portfolio. ROCHESTER, New York, April 18, 2018 – Visaris Americas, a First Source company, announced today that they have partnered with Alpinion Medical Systems (Alpinion), a prominent worldwide ultrasound manufacturer. The new relationship allows Visaris Americas to market Alpinion’s full line of E-CUBE diagnostic ultrasound products in the U.S. Visaris Americas expects to leverage the new relationship to secure business in several of their core markets, particularly the mobile homecare imaging segment. “The Alpinion product line complements the breadth of our robust Vision product line especially mobile homecare imaging, our fastest growing market segment,” said Ron Viola, Managing Partner for Visaris Americas. “Having the ability to offer customers the Vision M, our lightweight portable X-ray system, along with the Alpinion E-CUBE i7 compact portable ultrasound platform provides an exceptionally attractive complete imaging solution for our customers.” Viola commented. The Visaris Americas relationship with Alpinion is the first of several partnerships it plans to make in the future to reinforce their commitment to offering their customers a total imaging solution. VISARIS AMERICAS, a First Source company, provides a full portfolio of innovative digital imaging solutions. 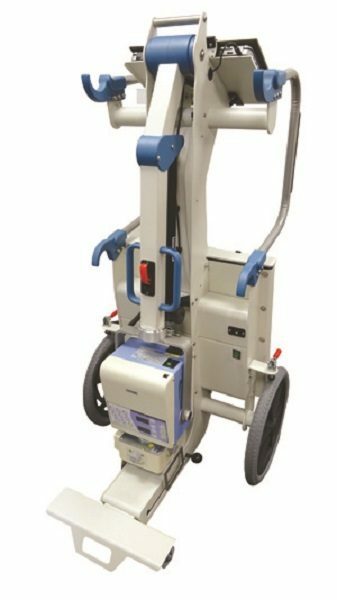 Our Vision series of products are designed for various imaging environments from the Vision M lightweight portable X-ray solution to our most advanced solution the Vision C, a fully robotic radiography suite. Our Company’s mission is to deliver the highest quality and cost-effective digital imaging technology, workflow solutions and responsive technical support to meet the diverse needs of today’s demanding medical imaging environments. FIRST SOURCE, established in 1999, is recognized for its innovative R&D and manufacturing capabilities, extensive product training programs, and the high level of responsive technical support it provides to medical imaging customers in the U.S. market. In October 2015, FIRST SOURCE became the sole distributor of Visaris-branded products in the Americas. Visaris is an Eastern European-based company that has heavily invested years of R&D in product design and workflow solutions for the global medical imaging market. ALPINION is a world-renowned ultrasound manufacturer known for innovation. Its E-CUBE product line follows the principles (Extreme Clarity, Efficient Workflow, Ergonomic Design) and reflects ALPINION’s technological philosophy that provides customers with uniform image quality throughout the product lifetime. 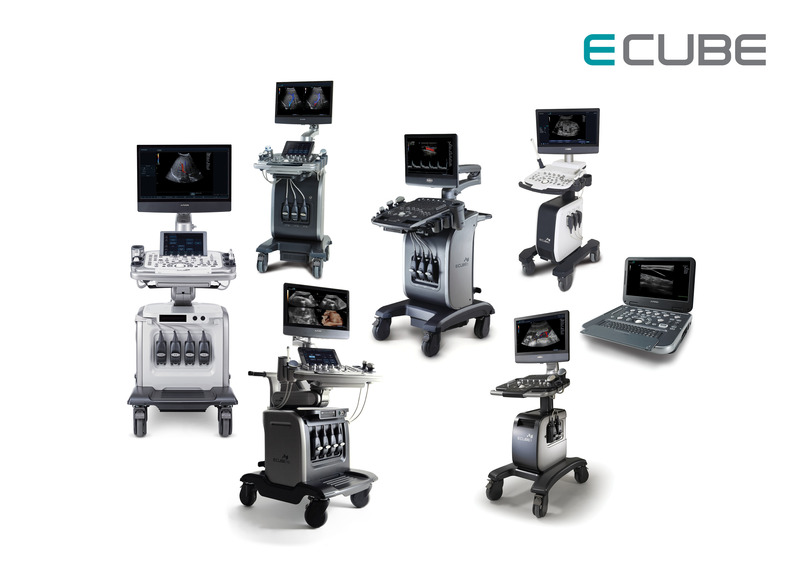 ALPINION focuses on continuous innovation in acoustic technology and has developed a range of transducer array types and applied them to ALPINION’s innovative E-CUBE series of ultrasound systems. Based on proprietary superior acoustic technology, ALPINION continuously strives to expand the medical business from diagnostic to therapeutic ultrasound.